Are you thinking of playing? IN OUR PRO-SHOP YOU WILL FIND OUR SPECIAL GOLF OFFERS! 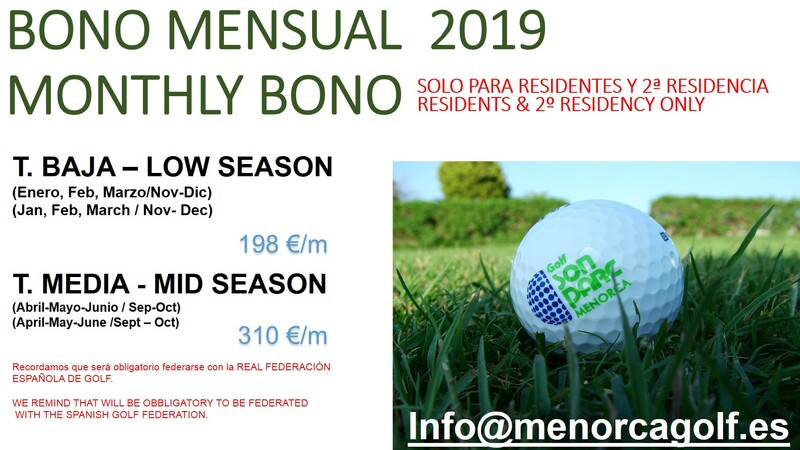 Our 3 seasons price list - We are waiting for you!! If your intention is to play regularly during the year, we have different possibility to become a subscriber. We are looking forward to seeing you!! Look at our prices and if you need help visit us at our golf reception, we will be happy to inform you. These Green Fee tickets will allow you to play more days or share them with your friends. Don't miss our Monthly Ticket. It will allow you to play at any time and with no limit of holes during a month. Remember you have to be Federated.